Can you inherit a long life? Mutations that affect longevity in nematode parents can impact the lifespan of descendants even if the initial mutation is no longer present. 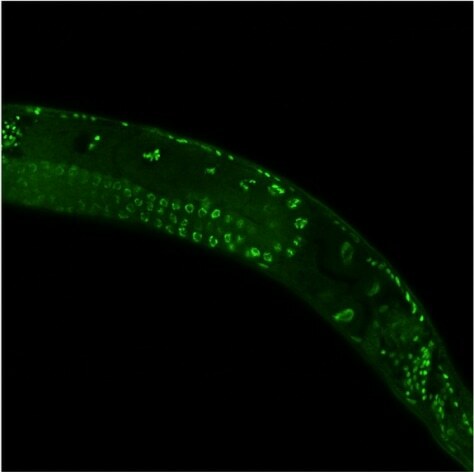 This image represents a longevity mark in the normal offspring of mutant nematodes.